Uber and Lyft launched in the Capital Region in the summer of 2017, but do you know the difference between the two ride-sharing apps? Once you nail down the differences between them, you can make a better decision on which to use and get the most bang for your buck. While Uber and Lyft are quick and easy ways to get around, if you're looking to ride in style and be driven by a professional driver, you'll want to investigate the exceptional car services in and around Saratoga. Uber and Lyft are really similar services. Uber got its start in 2009, a few years before Lyft did so in 2012, and consequently Uber is available in more cities and has more drivers. However, drivers are allowed to drive for both services, and many take advantage of that. While Uber is better known in the Saratoga area, it's probably only a matter of time before Lyft catches up. 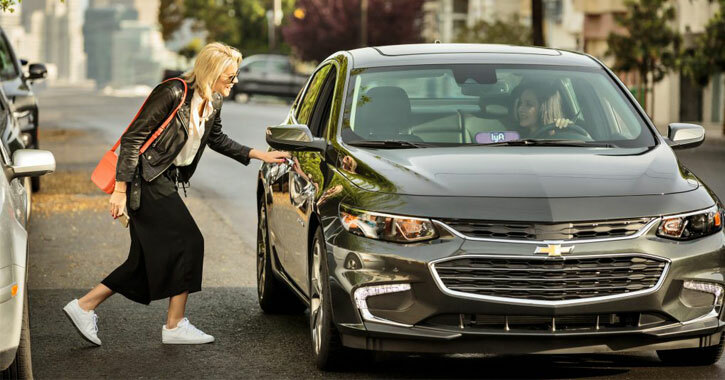 Both Uber and Lyft: connect riders to drivers through a free app; have a two-way rating system where the riders rate the drivers and vice versa; only exchange money for fees and tips through credit cards (no cash can be exchanged at all); have upgrades available if you need to transport a lot of people or want a fancier car; and both have surges when prices are increased due to high demand - although Lyft calls surging "Prime Time." Not all of the extras associated with Uber and Lyft are available in Saratoga as of yet. For example, for the upgrades to larger or nicer cars, UberXL is available in Saratoga but UberBlack is not; UberXL allows you to transport up to six people, while UberBlack involves high-end black cars with professional drivers. For Lyft, Lyft Plus for up to six people in one ride is available but Lyft Lux, with black luxury sedans and SUVs, is not offered here. Although UberBlack and Lyft Lux are not available in our area, you can enjoy a professional, high-quality transportation experience by hiring one of the area's car services. Uber Eats is also not yet available in the Saratoga area, although it is in Albany with a select number of restaurants participating. Uber Eats is a separate app through Uber that allows you to order food for delivery. Lyft does not have a food delivery service, although they have partnered with Taco Bell for Taco Mode, where passengers can have their drivers bring them to a Taco Bell drive-thru. Taco Mode is not available in Saratoga either, and doesn't appear to be popular with Lyft drivers. As of November 5, 2018 Uber is operating at the Albany International Airport. Previously, you had to opt for Lyft if you were going to or from the airport. To get to the airport, you could also look into other airport services offered in the Saratoga area. From car services to taxis, there are plenty of options to get you where you need to go in a timely manner. Uber has partnered with the Saratoga Race Course to provide an Uber Zone, which is basically a parking lot for drivers to pick up or drop off riders. It's located on the corner of East Avenue and Union Avenue just outside the Race Course grounds. Those using Uber to and from the track are required to use the Uber Zone, and should not be picked up or dropped off elsewhere on the grounds. Having designated pick up and drop off spots is an aspect of ride-sharing that is still pretty new to both Uber and Lyft, although it certainly has advantages in certain busy areas like the track. Using the Uber Zone can help to avoid issues like double-parking and make it easier for the riders and drivers to find each other in crowded spots. There does not appear to be another Uber Zone, or an equivalent for Lyft, in Saratoga or the Capital Region at present. If you need to go to the track, you might want to use Uber. If you need to go to the airport, you'll definitely need to choose Lyft. But for every other normal ride you'll be taking, it's smart to just have both apps on your phone (they're free to download!). You can enter your destination in both apps at the same time and compare prices before committing to either one, so it's super easy to find the cheapest ride.